Tommy Allsup was at the beginning of Rock and Roll and is an awesome guitar player. Everything I have found on him shows that he is truly a gentleman and a real nice guy. The licks he invented to this day have stood the test of time and are today still a thrill to hear. Tommy was on a tour recently with Kevin Montgomery (son of Bob Montgomery) and they performed Wishing That is Beautiful. He was working with Buddy Holly when he helped on the song. Regarding his passionate letter to Dion, at his age, standing up for truth is a very refreshing thing to do and see. A Total Class Act. 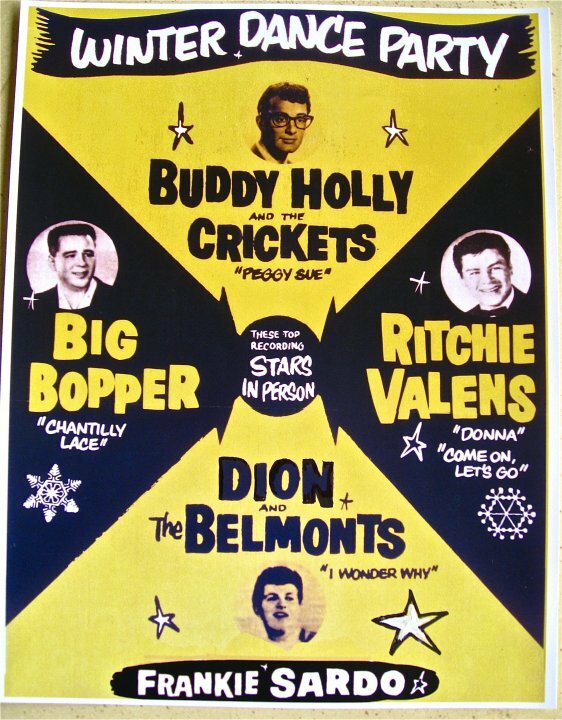 He lived Rock and Roll with Buddy Holly and continues to perform all over the world. With Forgotten Hits you also are constantly bringing the truth and facts out for many artists and fans. Your work and dedication also is a totally Class Act!!! Thank You!!!! Dion talks about his book & the early years of R-n-R.
Dion's appearance on the UK late eighties pop TV show Rapido. Promoting the Yo Frankie album. Features a backstage interview and concert footage. I would like to add one more comment or cheer if I may concerning Glen Campbell. I don't know if this has been mentioned before in your FH. First, I would like for you to give me a K. Then an E. Followed by a N. Now a T. Then a U, and a C,K,Y. Now as you probably know, that spells Kentucky but it really means Paradise. Dale Fitzsimmons and Carl Tanberg along with Glen Campbell in 1963 better known as the Green River Boys. Don't know if it made your survey in Chicago but it made ours. I guarantee you I will get this record out tonight and play it. Oh wow ... at first I thought you were giving ME a cheer for the OUTSTANDING job I'm doing here at Forgotten Hits!!! Turns out you were just spelling Kentucky!!! Damn right that record charted here ... we knew who Glen Campbell was WAY before the rest of the world caught up to him with his country hits and network television show. I watched the clip on You Tube of Glen Campbell singing the Green Day song during the same YT filled night and thought it was amazing!!!!!! I loved it! Bobby Vee talks about retiring. It's a tough call sometimes. I prefer hearing stereo often, but I prefer mono if the stereo version is not the same recording as the hit single I heard on the Big 89. BTW, my buddies at Sundazed have now reissued both Left Banke albums in stereo (exact without bonus tracks) and they sound great as Sundazed products usually do. I had a small hand in the releases, but it's the music that is great! Is there any chance that you might ask your readers if they'd be willing to post a mono version of Petula Clark's 'Downtown'? I just listened to a 60-second sample and I much prefer it over the stereo. Thanks for your note. I don't have a mono mix of Petula Clark's DOWNTOWN. In fact, I don't even recall doing separate mixes. Pye Records was a complete record company operation with it's own in-house producers, mixing engineers, cutting room staff and factory and I'm fairly certain that by 1964 we had all agreed as company policy to save time and money on production of singles and just go for what we called 'Stereo Compatible' - vinyl that could be played on a stereo or mono system. Such a mix could also slot in to any album. I remember that producers had to be careful with reverb and possible problems with phase shift so the stereo 'picture' of a 7-inch 'compatible' single wasn't terribly exciting. One could be more adventurous with tracks purely designed for albums, of course. I am also fairly certain that Warner Bros Records would have released just one version of DOWNTOWN. It seems the biggest challenge in the 60s was getting the hole dead centre of the record. Even American 45s with the bigger hole could 'swing like mad'. Tell that to a teenager today! So................ sorry, apart from these thoughts I can't help. Interesting that the mono mix of Downtown has come up since it was recently discussed on Pat Downey's Top 40 Music On CD board. While others say the stereo lp mix has one word in the song sung differently than the 45, my personal finding is that the stereo lp contains the exact same vocal take all the way through, just mixed louder ... the vocal gets buried in the mono mix at points. Perhaps Tony Hatch has a comment on this? Folding the stereo mix to mono reveals that the lead vocals are much more louder than the true mono mix, so there isn't a compatibility there, two different mixes were made from the 4-track master tape (at least I assume it was recorded onto 4-track), but it's my belief that there is actually nothing different between the mono and stereo versions except for how they are mixed. Aside from that, I must say, Petula's recordings have some of the best stereo mixes I have ever heard. They really hold up well and have always sounded spectacular to my ears. And here's the latest on one of the KINGS of Mono ... Phil Spector! Just read this in my newspaper: Al Pacino is playing the part of Phil Spector, currently filming in midtown Manhattan. Phil Spector is serving a minimum 19 year term after being convicted of second-degree murder in the death of Lana Clarkson. I agree with one of your readers, or maybe it was you, in that you had better have a couple of hours to spare to play that game because you get hooked on it. I won at least twice if I remember right. chauffeur Birmingham Brown in the Charlie Chan movies. My favorite song from a movie is "Rock Around The Clock" from "Blackboard Jungle". 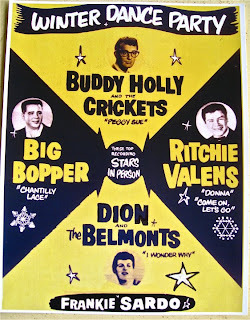 Here's the sad story of Bill Haley. A sad ending to the story to be sure. Well worth reading 'tho, folks! Regarding your comment on Unchained Melody, unfortunately, Kent, the same has happened for other songs. Many a song has plummeted to the depths of the abyss of our affection because we had to listen to it ad nauseum. This is the "urban legend" version of the way this song came to be. The guy who concocted this story and also claimed to be the real writer was found to be manufacturing the whole thing. North and Jaret actually wrote it for the movie. David is correct ... the song was written for the movie by Alex North and Hy Zaret and, after its rather uneventful performance in the pretty much uneventful film, a gallery of recording artists rushed to record it, including among them Al Hibbler, Roy Hamilton, June Valli and Les Baxter, all of whom quickly scored Top 40 Hits with their renditions. Joel Whitburn's latest "Top Pop Singles" book (13th Edition) shows "Unchained Melody" as the most charted song, with an incredible thirteen versions hitting the charts since 1955! Perhaps strangest of all ... after all those artists competed for chart position back in 1955, The Righteous Brothers (who, without question, seem to have recorded the most popular, best-known version of this tune), compete against THEMSELVES in 1990 when their original 1965 version and a newly recorded remake fought each other after the song's inclusion in the hit film "Ghost". (When all was said and done, the original version bested the remake, peaking at #13 in Billboard over the #19 new version showing. Still pretty amazing to think that BOTH version managed to hit Billboard's Top 20!!! I consider you to be a music expert. I want you to explain to me how you go from writing "Mailman, Bring Me No More Blues" to writing "Meet The Mets"? I can't explain it. >>>I have a piece of super trivia for you ... since we're once again talking about Alan O'Day, we recorded another song of his besides "Easy Evil", which you showcased in "Forgotten Hits" a while back. This one is called "Spin Away". The super trivia here is that when we booked studio time to record it, we only had the demo by Alan and no lead sheet. It was a holiday weekend and we had word out to the publisher to get us a lead sheet, but they wouldn't be in for a few days, so we had go in and record it just by picking up the lyrics off the demo. Anyway, in the second verse, we transcribed a few words to say "Your cup was broken". Later, after we were back on the road, we found out the correct lyrics were, "Your compass broken" ... but it was too late ... by then, it was mastered and ready for Capitol to do their thing. Like I said, a real piece of super trivia. But it's a nice song and we have had people tell us they really liked it. Thanks for copying me on Gary Pike's post about their wonderful recording of "Spin Away", the title song of their 1972 album. I still play that 45 on my Seeburg Model C jukebox. It may be "super trivia", but it clears up a mystery that's intrigued me for almost 40 years. Assuming that (the) Lettermen had full access to the lead sheet, I always wondered why they had missed that lyric. Now I know! Thanks and best wishes to Gary and the guys! By the way, the distinctive piano sound on that record followed my home demo very closely, including the concept of overdubbing it with the tape running at a slightly different speed. I know because I was at the tracking session, showing the part to a young (and wonderfully talented) Michael Omartian on keyboards. Earlier when I was finishing the song, as a staff writer with Warner Bros. Music, I also remember Artie Wayne loving it and suggesting a lyric change on the second line of the chorus. I took his advice, changing "Move on, turn on, you're the Potter's clay" to "Move on, turn on to another way." More trivia! THAT WAS COOL TO HEAR! I REMEMBER WHEN I WAS PLUGGING SONGS FOR WARNER BROTHERS MUSIC, I TOOK 5 0R 6 NEW SONGS TO PLAY FOR THE LETTERMEN AND THEY RECORDED 3 OR FOUR OF THEM INCLUDING, "SPIN AWAY". 7/9/1977 = Ron Smith says this song was # 1 in Chicago on this date. Maybe you can figure out what the rest of the message says. I have uploaded to introduce and promote this song on my blog. Please do not delete the song. We've been getting the word out about The Axis of Awesome's Animal Vehicle album including "4 Chords." The song, illustrating the Australian comedy band's thesis that most hits songs have the same four chords in common, has gotten over 20 million video "hits." The album is out next Tuesday, July 12th. The band is on the road now, doing their best to conquer America ... upcoming dates are posted below. This lovingly assembled tome -- featuring both classic photographs and the inside stories behind them -- arrives on August 1st, 2011. The 176-page volume is filled with photos and text, illustrated throughout with “some of the most memorable unguarded images of the era” (Rolling Stone), ranging from iconic to rare to never-before-seen. This magnificent collection covers some of the most significant artists and events from rock’s most fertile period, visualizing the music through images of Jimi Hendrix, Janis Joplin, The Rolling Stones, The Doors, The Who, The Grateful Dead, Bob Dylan, George Harrison, Santana, and dozens more! Baron Wolman not only witnessed what is without a doubt the most important period of change in popular music and popular culture, but his photographs helped shape it. Rolling Stone magazine encapsulated and distilled the most noteworthy events and changes as they were taking place. Each issue would speak to this evolving youth culture in a language that was all its own. For years Wolman has been asked to talk about the photos, how they came to be, and what happened on assignment at the various shoots. This book answers those questions and more. Grateful that he and his camera were around at a seminal time in the history of the music business and popular culture, THE ROLLING STONE YEARS is his “thank you” for the privilege. From the beginning to the end of THE ROLLING STONE YEARS, readers will be engrossed in images from an era in rock just before the star machine got cranking and the corporations took over, when less controlled barriers between the artist and the photographer allowed Wolman extraordinary access, the likes of which would be impossible to capture today. And he captured them vividly – not only through the camera’s lens, but with a photographic memory that readily recounts the colorful stories surrounding his unforgettable encounters. Among the more than 200 images are a rail-thin, T-shirted Pete Townshend recording parts of Tommy at the piano; Frank Zappa posing on a tractor at an abandoned construction site near his home; and Pink Floyd (with Syd Barrett, who pretended to drop an acid sugar cube) posing on a Sausalito hotel fire escape on their first American visit. THE ROLLING STONE YEARS makes it easy to see why Wolman’s photographs became Rolling Stone’s graphic centerpiece during the three years they were published regularly in the magazine. Over 40 years later, those same photographs, picture memories of the ‘60s, are now widely exhibited and collected. And Baron’s long-time mantra, “Mixing Business With Pleasure Since 1965,” continues to be his guiding light. ABOUT BARON WOLMAN: Baron Wolman was the first-ever photographer for Rolling Stone magazine. During his three year tenure at the magazine he captured some of the biggest names in music. Since leaving Rolling Stone in 1970 he has focused on such diverse subjects as authors, fashionistas, professional sports, airplanes and bridges. A qualified pilot, he has also published several widely-praised collections of aerial photography and continues to exhibit his work around the world today. For more information on these and other Omnibus titles, go to www.omnibuspress.com. U2 was playing at Vandy Stadium in Nashville for a crowd of 45,000. Just before the final song, Bono spots a guy in the audience holding a sign up that says "I am a blind guitar player." He has the guy brought to the stage, puts his guitar on him, and the guy flawlessly plays guitar for the finale. After it's over, Bono says "just keep the guitar". It's a custom guitar worth a big chunk of cash. Did you ever watch "Soul Train"? In regards to the recent post about the Cruisin series, the vinyl version went through 1969. I bought Cruisin 1970 on cd several years ago that features WLS with Kris Eric Stevens. The Library Of Congress becomes Jukebox Heroes! While recordings from 1901-1925 predated the jukebox, the Library of Congress has unveiled the National Jukebox (www.loc.gov/jukebox) website, making historical sound recordings available to the public free of charge. The Jukebox includes recordings from the extraordinary collections of the Library of Congress Packard Campus for Audio Visual Conservation and other contributing libraries and archives. Recordings in the Jukebox were issued on record labels now owned by Sony Music Entertainment, which has granted the Library of Congress a gratis license to stream acoustical recordings. At launch, the Jukebox includes more than 10,000 recordings made by the Victor Talking Machine Company between 1901 and 1925. Jukebox content will be increased regularly, with additional Victor recordings and acoustically recorded titles made by other Sony-owned U.S. labels, including Columbia, OKeh, and others. We have to go back to 1949 for this song. Now that's what i call an Oldie! Yep, I remember my Mom playing the Perry Como version around the house (on 78!!!) when I was growing up. I saw this during my online browsing this morning. See what you think. Radio stopped being the place to find good music over a decade ago. Once a pillar of popular culture it's now a side show. Yeah, people still listen but there is no attachment; it's simply not a cultural force in any capacity. There was a day when saying "I work in radio" carried a badge of honor. Now it's like saying I work at The Gap. If you were to ask 100 kids if they'd sooner work at the Apple Store or in radio, most would say the Apple Store. Many times in the last decade or two, betcha most of us have said some version of "We were lucky to be part of it when we were, when radio really mattered." That's partly bemoaning the medium's current state, but mostly an appreciation of our good fortune and timing. We were there when it meant something! Wanted to weigh on with my take on this piece you did. I'm 17 and I've got three LP copies of "Whipped Cream And Other Delights" -- I agree it's totally a work of art, not really all that "funny". My LP collection outnumbers my CD's. I can honestly say I only own one song that was made in my lifetime, so the oldies will always be a part of my life!!! I just wanted to show you that there are some of "us kids" out there who aren't like the ones in the article ... ones who still do have an appreciation of the past. I had to have someone explain to me who "Lady Gaga" was, but ask me to name the members of the 5th Dimension, The Supremes' 12 #1 hits, or some movies Elvis has been in, and you'll get some "well-constructed" answers. Thanks, AJ ... we keep hearing from more and more of the "under 25" crowd who LOVE the oldies and appreciate all that they have to offer.